Bach's music reflects the conventions of his day, the final stage of the Baroque period. From an early age, he studied the works of his musical contemporaries, those of prior generations and also of French and Italian composers and those influences were reflected in his music. Like his contemporaries Handel, Telemann and Vivaldi, Bach composed concertos, suites, recitatives, da capo arias, and four part choral music and employed basso continuo. Bach's unmistakable style is characterized by consummate contrapuntal invention and motivic control and he had a genius for a tightly-woven form combined with robust sonority. Religious music was at the centre of Bach's output for much of his life. The hundreds of sacred works he created are usually seen as manifesting not just his craft but a truly devout relationship with God. He had taught Luther's Small Catechism as the Thomaskantor in Leipzig, and some of his pieces represent it. 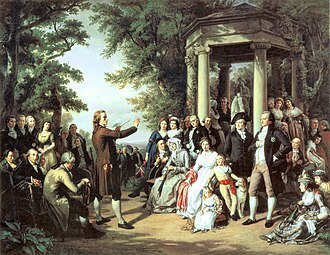 The Lutheran chorale was the basis of much of his work. In elaborating these hymns into his chorale preludes, he wrote more cogent and tightly integrated works than most, even when they were massive and lengthy. 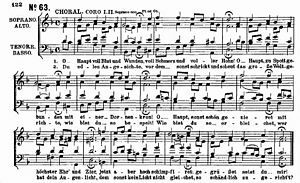 The large-scale structure of every major Bach sacred vocal work is evidence of subtle, elaborate planning to create a religiously and musically powerful expression. For example, the St Matthew Passion, like other works of its kind, illustrated the Passion with Bible text reflected in recitatives, arias, choruses, and chorales, but in crafting this work, Bach created an overall experience that has been found over the centuries since to be both musically thrilling and spiritually profound. ^ a b Marshall, Robert L. (1989). Don O., Franklin, ed. On the Origin of Bach's Magnificat: a Lutheran composer's challenge. Bach Studies. Cambridge. pp. 3–17. ISBN 978-0-521-34105-9. Archived from the original on 29 April 2016. The Art of Fugue, BWV1080, is an incomplete work of unspecified instrumentation by Johann Sebastian Bach. Written in the last decade of his life, The Art of Fugue is the culmination of Bachs experimentation with monothematic instrumental works. This work consists of 14 fugues and 4 canons in D minor, each using some variation of a principal subject. The governing idea of the work, as put by Bach specialist Christoph Wolff, was an exploration in depth of the possibilities inherent in a single musical subject. The word contrapunctus is often used for each fugue, the earliest extant source of the work is an autograph manuscript of the early 1740s, containing 12 fugues and 2 canons. This autograph is typically referred to by its number of P200 in the Berlin State Library. Three manuscripts for pieces that appear in the edition were bundled with P200 at some point before its acquisition by the library. The revised version was published in May 1751, slightly less than a year after Bachs death. In addition to changes in the order and material of pieces which appeared in the autograph, it contained 2 new fugues,2 new canons, a second edition was published in 1752, but differed only in its addition of a preface by Friedrich Wilhelm Marpurg. In spite of its revisions, the edition of 1751 contained a number of glaring editorial errors. 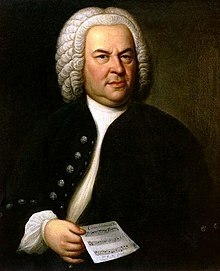 The majority of these may be attributed to Bachs relatively sudden death in the midst of publication, the anomalous character of the published order and the Unfinished Fugue have engendered a wide variety of theories which attempt to restore the work to that state originally intended by Bach. 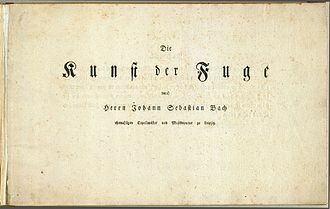 The Art of Fugue is based on a subject, which each canon. In the order in which occur in the printed edition of 1751, the groups. Contrapunctus I, 4-voice fugue on subject, play principal subject or play whole contrapunctus 2. Contrapunctus II, 4-voice fugue on subject, accompanied by a French style dotted rhythm motif. Contrapunctus III, 4-voice fugue on principal subject in inversion, employing intense chromaticism, Contrapunctus V, Has many stretto entries, as do Contrapuncti VI and VII, play principal subject 6. The dotted rhythm, enhanced by these little rising and descending groups, suggests what is called French style in Bachs day, Contrapunctus VII, a 4 per Augmentationem et Diminutionem, Uses augmented and diminished versions of the main subject and its inversion. The first major biographies of Johann Sebastian Bach, including those by Johann Nikolaus Forkel and Philipp Spitta, were published in the 19th century. Many more were published in the 20th century by, among others, Albert Schweitzer, Charles Sanford Terry, Christoph Wolff, Little was published about Bachs life in the 18th century, his Nekrolog being the most extended biographical note about the composers life. 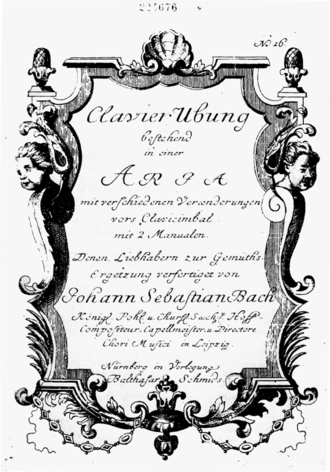 No writings by Johann Sebastian Bach were published during his lifetime and he declined Johann Matthesons invitation to write an autobiographical sketch for inclusion in the Ehrenpforte. Other contemporary sources include archived reports, like those of the decisions of the Leipzig city council, Bachs entry in Johann Gottfried Walthers 1732 Lexikon is a rare exception in giving biographical information on the composer. Bachs Nekrolog was published in 1754 in the volume of Mizlers Musikalische Bibliothek. With less than 20 pages it is the most comprehensive 18th-century publication on the composers life, the descriptions in such biographical articles were nearly exclusively based on the Nekrolog, often copied with errors. In print Bach is mentioned as teacher of some musicians of the next generation, Forkels biography was published shortly after the 50th anniversary of the composers death, and concentrated mostly on an analysis of his compositions. The first biography based on a research of primary sources was published by Spitta in the second half of the 19th century. Johann Nikolaus Forkels Ueber Johann Sebastian Bachs Leben, Kunst und Kunstwerke appeared in Leipzig in 1802 and its biographical material expands what is already in the Nekrolog with details Forkel collected from Bachs eldest sons. An English translation, expanded with updates in footnotes and appendices, was published in 1920 by Charles Sanford Terry, a century after the composers death two short biographies were published. 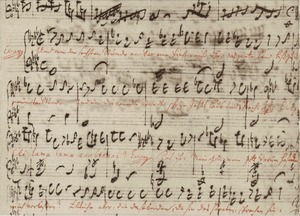 Bachs Lebensbild, Eine Denkschrift auf seinem 100 jährigen Todestag, den 28, julius 1850 eintretenden Säculartage des Todes von Johann Sebastian Bach. In 1865 Karl Hermann Bitter published a two-volume Bach biography, the biography contains some documents from Bachs time that hadnt been published before, presented with a wealth of historical inferences and personal reflections. Thomaskantor is the common name for the musical director of the Thomanerchor, now an internationally known boys choir founded in Leipzig in 1212. The official historic title in Latin, Cantor et Director Musices describes the two functions of cantor and director, as the cantor, he had to prepare the choir for service in four Lutheran churches, Nikolaikirche, Neue Kirche and Peterskirche. As director, he had to music for city functions such as town council elections. Functions related to the university took place at the Paulinerkirche, Johann Sebastian Bach was the most famous Thomaskantor, from 1723 to 1750. Leipzig has a university dating back to 1409, and is a commercial center and it was mostly Lutheran since the Reformation. 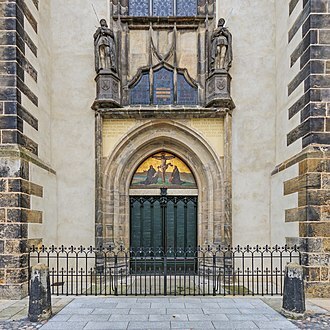 The position of Thomaskantor at Bachs time has been described as one of the most respected, the services in Lutheran Leipzig, their readings and required music were regulated in detail. The Church Book lists the prescribed reading, repeated every year, the church year began with the First Sunday in Advent and was divided in feast days, fasting periods and the feast-less time after Trinity Sunday. In music, there was no concert music such as a cantata during the fasting times of Advent and Lent. Modest music was performed during the half of the church year. 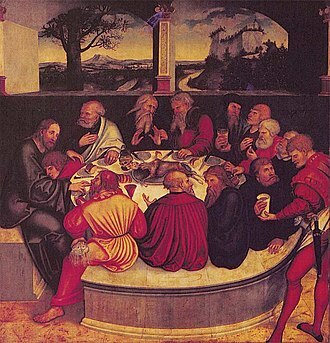 Christmas and Pentecost were celebrated three days each, and many other feast days were observed, the library of St. Thomas contained works in vocal polyphony from the fifteenth century onward. The official historic title in Latin of the Thomaskantor is Cantor et Director Musices, the Thomaskantor had to report to the city council, the rector of the Thomasschule and the church superintendent. He had the duty to prepare the choir for service in the citys four Lutheran churches, the main churches Thomaskirche and the Nikolaikirche, but the Neue Kirche, as cantor, the Thomaskantor had to compose and take care of copying and performances. He had to teach, both music and general subjects and he had to take part in the admission process for new students to the school. On high holidays, the cantata was performed in churches, in a morning service in one, in a vespers service in the other. It is commonly regarded as the shortest subdivision of a theme or phrase that still maintains its identity as a musical idea. 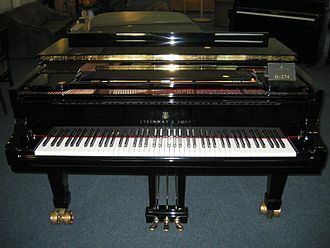 The smallest structural unit possessing thematic identity, a harmonic motif is a series of chords defined in the abstract, that is, without reference to melody or rhythm. A melodic motif is a formula, established without reference to intervals. A rhythmic motif is the term designating a characteristic rhythmic formula, a motif thematically associated with a person, place, or idea is called a leitmotif. Occasionally such a motif is a cryptogram of the name involved. A head-motif is an idea at the opening of a set of movements which serves to unite those movements. In hearing a phrase as a figure, rather than a motif, we are at the time placing it in the background, even if it is. strong. Any motif may be used to construct complete melodies and pieces, musical development uses a distinct musical figure that is subsequently altered, repeated, or sequenced throughout a piece or section of a piece of music, guaranteeing its unity. St. Thomas School, Leipzig is a co-educational and public boarding school in Leipzig, Germany. It was founded by the Augustinians in 1212 and is one of the oldest schools in the world, St. Thomas is known for its art and music education. Johann Sebastian Bach held the position of Thomaskantor from 1723 until his death in 1750, from the 800-Year Anniversary Celebration in 2012 the Thomanerchor and St. Thomas School will be part of Forum Thomanum, an internationally oriented educational center. 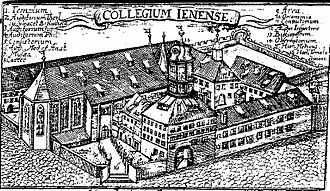 St. Thomas School was founded in 1212 by Margrave Dietrich von Meißen making it among the oldest schools in Europe and it was run as schola pauperum, meaning a free school intended to benefit the poor, by the Canons Regular of St. Augustine. The St. Thomas Church was founded with the school, the St. Thomas School is first mentioned in documents dating to 1254. In 1539 the city of Leipzig took over ownership of the school, all members of the boys choir attend the school along with other pupils. The Thomaner live in the schools own boarding school, the schools first building was in the present courtyard of the St.
Thomas Church. In 1553 an outbuilding was built there, during Johann Sebastian Bachs time as Thomaskantor these buildings were extended, in 1829 they were reconstructed. In 1877 a new building was erected in the Schreberstraße to meet a shortage of space, in 1881 a new building for the boarding school was finished. During the Nazi era the school continued its normal curricula, the school endured the bombings of the night of 3 December 1943 with only the gym and the buildings across from the boarding school being destroyed. 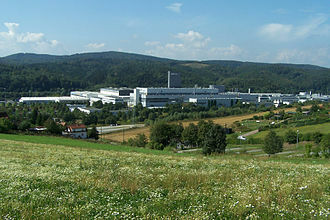 The then-rector, Günther Ramin, decided to move the boys to the Königlich Sächsische Fürsten- und Landesschule Sankt Augustin school in Grimma. Because of this, and because most of the students were enlisted. The rectors decision to move the boys was proved right during the bombings of 20 February 1944 when the schools buildings were destroyed. After that, the pupils attended 41. At some stage, the boys rejoined these pupils at Hillerstraße. In 1973 the school moved into a new building in the Pestalozzistraße, the new communist regime in East Germany tried to make an exemplar atheist school out of St.
Elias Gottlob Haussmann was a German painter in the late Baroque era. Haussmann served as painter at Dresden, and from 1720 as the official portraitist at Leipzig. He is mostly known for his portrait of Johann Sebastian Bach which was painted in 1746 and he was at first a pupil of his father, Elias Haußmann, who was the Landgrave of Hesses court painter. Haussmann was in the royal Hessian service, as he was mentioned in a September 1717 letter of recommendation from Landgrave Ernst Ludwig of Hesse-Darmstadt as Our court painters son, the Landgrave allowed him a study trip through Germany, where he met portraitist Francesco Carlo Rusca at Lugano. Haussmann met the Dresden court painter Ádám Mányoki, who wrote favorably of him, from 1720 Haussmann was the official portrait painter of the city of Leipzig, but left the city in 1722, probably because of differences with the Malerinnung of Leipzig. Haussman and the guild quarrelled in 1729 and 1742 because he refused to become a burgher or to come to agreements with the guild and these disputes are accepted as a reason that Mányoki revoked his recommendation. 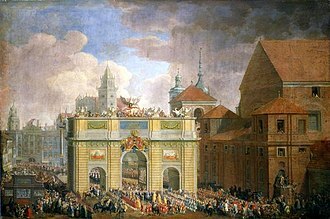 In 1723 Haussmann was appointed painter to the royal Polish and Saxon Elector. In 1725 he returned to Leipzig, in 1726 he took over the clientele of his predecessor, beginning with a portrait of the merchant Johann Heinrich Linke. In the 1760s, he and his school were replaced by Ernst Gottlob, Haussmann was a long-time painter of the Protestant clergy. The City Historical Museum of Leipzig, where the Bach portrait hangs, has several oil paintings by Haussmann. Most Haussmann paintings can easily be attributed – he regularly signed his works on the back with his name, Haussmanns early portraits, like that of Gottfried Reiches, display individual composition, technical careful execution, a high level of detail, and realistic emotional expressions. Many portraits on the hand, possess typical characteristics of serial images. Especially in the years after 1760, they use the same measurements, often there are identical clothes in the same colors within a series of portraits of rather insignificant officials. The Brandenburg Concertos by Johann Sebastian Bach are a collection of six instrumental works presented by Bach to Christian Ludwig, Margrave of Brandenburg-Schwedt, in 1721. They are widely regarded as some of the best orchestral compositions of the Baroque era, Bach wrote out the music himself for presentation to the Margrave rather than leaving it to a copyist. While he took the opportunity to revise the music, most likely and he appears to have selected the six pieces from concertos he had composed over a number of years while Kapellmeister at Köthen, and possibly extending back to his employment at Weimar. Bachs dedication to the Margrave was dated 24 March 1721, Bachs reference to his scoring the concertos for several instruments is an understatement. Bach used the widest spectrum of orchestral instruments … in daring combinations, every one of the six concertos set a precedent in scoring, and every one was to remain without parallel. Heinrich Besseler has noted that the forces required tallies exactly with the 17 players Bach had at his disposal in Köthen. Because King Frederick William I of Prussia was not a significant patron of the arts, the full score was left unused in the Margraves library until his death in 1734, when it was sold for 24 groschen of silver. The autograph manuscript of the concertos was only rediscovered in the archives of Brandenburg by Siegfried Wilhelm Dehn in 1849, the manuscript was nearly lost in World War II, when being transported for safekeeping to Prussia by train in the care of a librarian. The train came under bombardment, and the librarian escaped the train to the nearby forest. In the modern era these works have been performed by orchestras with the parts each played by a number of players, under the batons of, for example, Karl Richter. 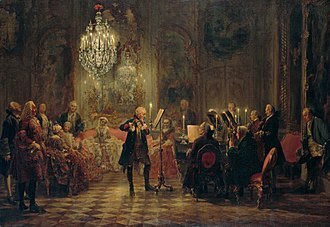 They have performed as chamber music, with one instrument per part, especially by groups using baroque instruments and historically informed techniques. There is an arrangement for piano duet by composer Max Reger. Title on autograph score, Concerto 1mo à2 Corni di Caccia,3 Hautb, è Bassono, Violino Piccolo concertato,2 Violini, about 22 minutes This concerto is the only one in the collection with four movements. Image: Bach Matthäuspassion "am Stamm des Kreuzes geschlachtet"
A phrase originally presented as a motif may become a figure which accompanies another melody, as in the second movement of Claude Debussy's String Quartet (1893).